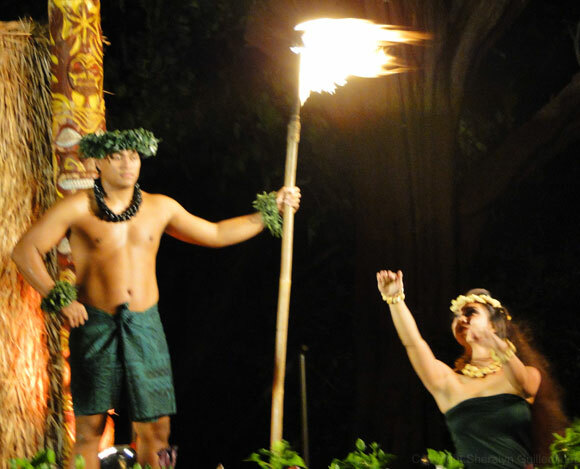 1) Every evening at sunset, guests of the luau will get to experience the torch lighting and ceremonial cliff dive from the famous landmark, Black Rock. 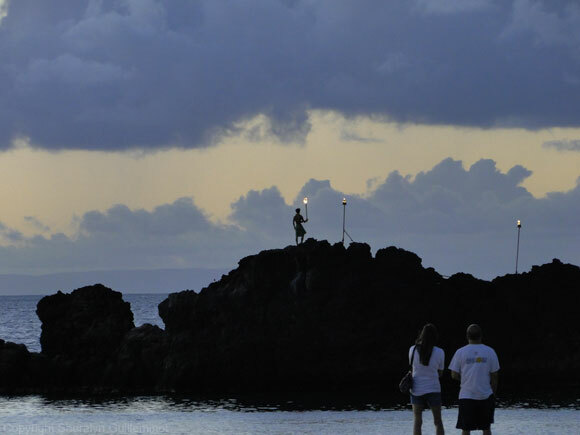 Sure, you can watch tourists jumping off the rock all day long, but it's way cooler to see this guy do it - he's all dressed up in traditional Hawaiian garb, and makes a real show of lighting the torches before delighting the crowd with a swan dive into the ocean! 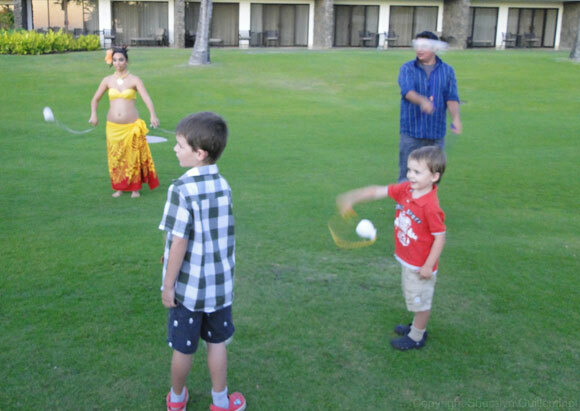 2) While standing around making small talk is nice and all, what's better is heading to the lawn where you can get free lessons in traditional Polynesian games and skills, like spinning these poi balls! 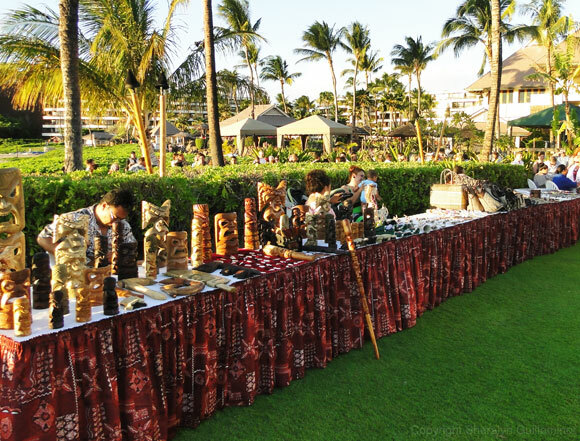 One of the first things you'll get when you arrive is a simple necklace with a carved Hawaiian Sea Turtle carving on it. 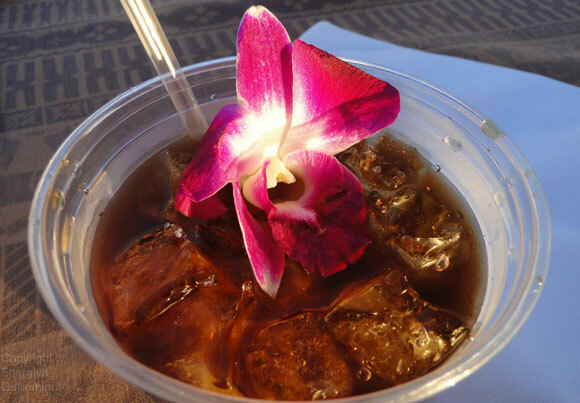 Your next stop should be the bar for your complimentary Mai Tai! 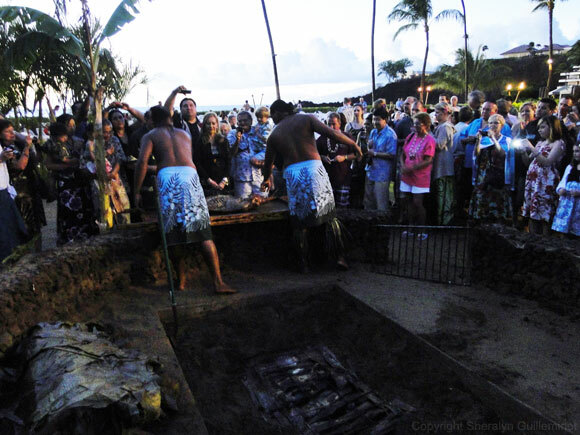 And just before dinner, you get to see the yummy kalua pig unearthed from the underground oven, at the Imu Ceremony. And then the show gets underway! 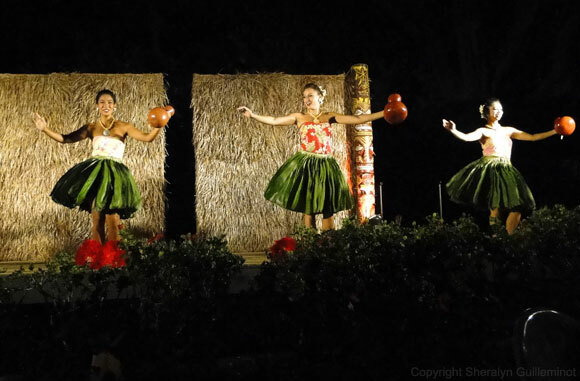 If you're a lover of audience participation at these things, you'll get your chance: take your pick of getting up on stage to learn the hula, or dancing with a loved one to the sounds of the Hawaiian Wedding Song. 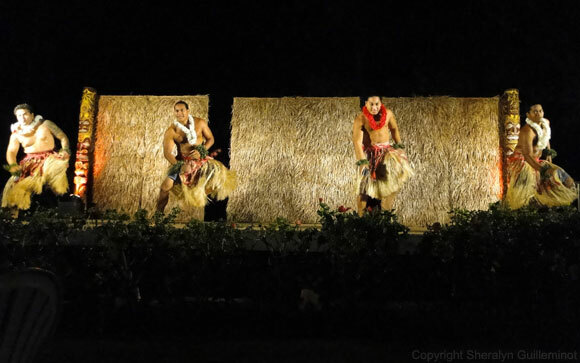 As for the performers, they put on a great polynesian-revue-style performance, which features dances from Hawaii, Tahiti, Fiji, Rarotonga, New Zealand and Samoa. 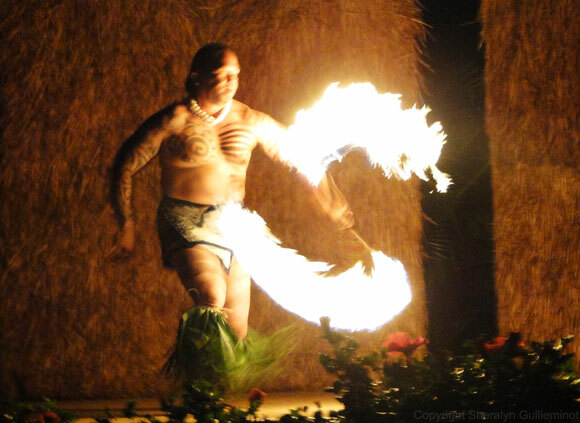 Loved the Samoan Fire Knife Dance Finale! 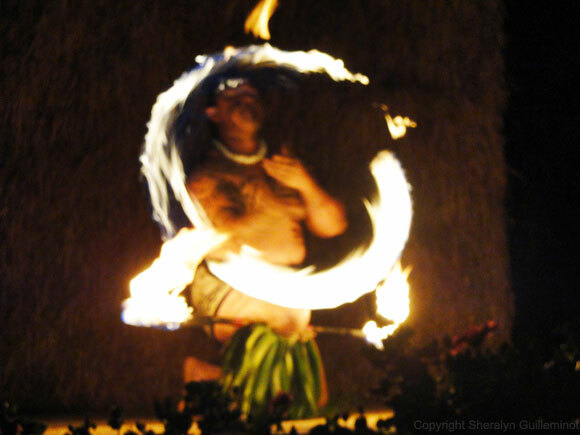 Although it's not a traditional Hawaiian thing, the Samoan fire knife dance finale is one of my favourite parts of any luau. 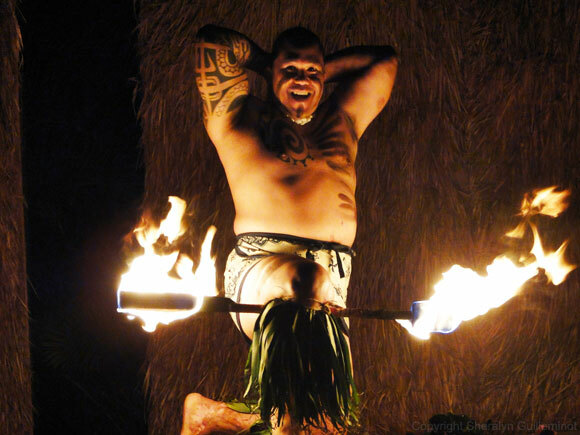 The beating of the drums, the smoky musk in the air from the torches, and the adrenaline pumping as the fire whirls... how can you not love THAT? Let the whirling of the torch begin! 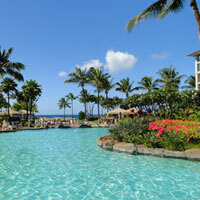 If you think seeing a pro doing a swan dive off Black Rock is as cool as I do, and especially if you are staying nearby, I think the Sheraton luau in Maui's Kaanapali area is well-worth your consideration! We had a great time, and I'm sure you would as well. 1) At the time of this writing, children aged 5 and under get in free - if you have kids in this age range, be sure to mention their age when booking. 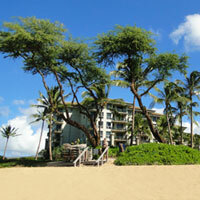 2) You have a choice of preferred seating (closer to the front), regular seating, or the cocktail only package. Within each category, there is no assigned seating, so the earlier you arrive, the better the seats you'll get within your assigned category. 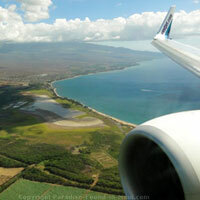 3) You might not want to book the cocktail-only package if sitting at the very back will bother you - that's the best you can get with this package. 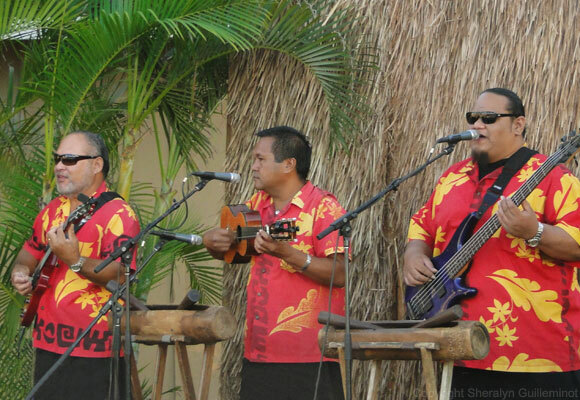 To book the Sheraton Luau in Maui, or check out current prices and show dates, my go-to spot is Barefoot Tours. I recommend them because they are a local company that's been in business practically forever, plus, the staff there has always been so nice any time I've had to contact them with questions! If you're interested in extras like preferred seating (which I highly recommend! 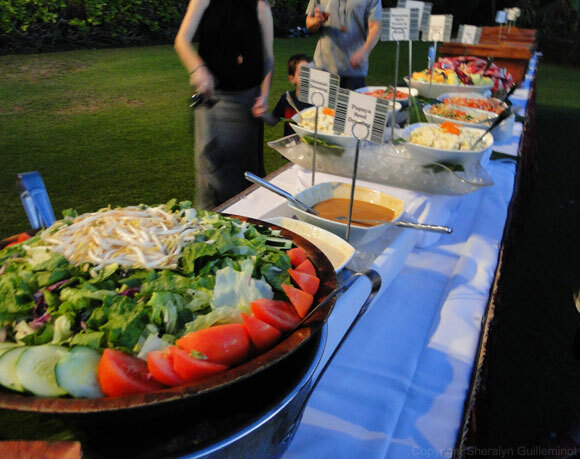 ), or want to inquire about the availability of additional discounts, you can either use the contact forms on the Barefoot Tours site, or telephone them via their toll-free number.